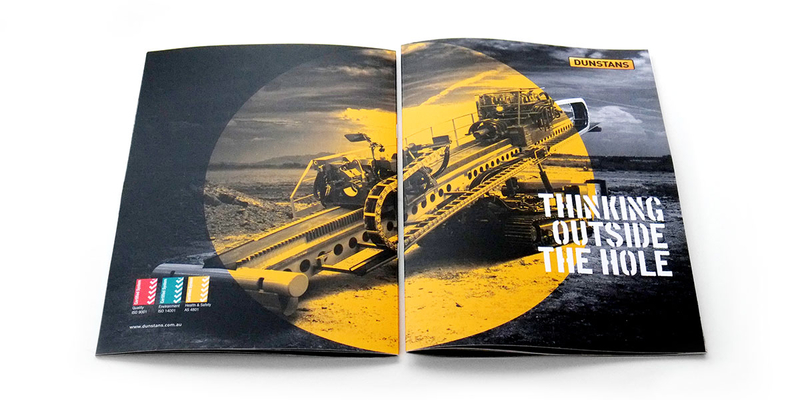 Brochure design by Angle Limited Auckland for Dunstans – Australia’s leader in trenchless and HDD services and expertise. 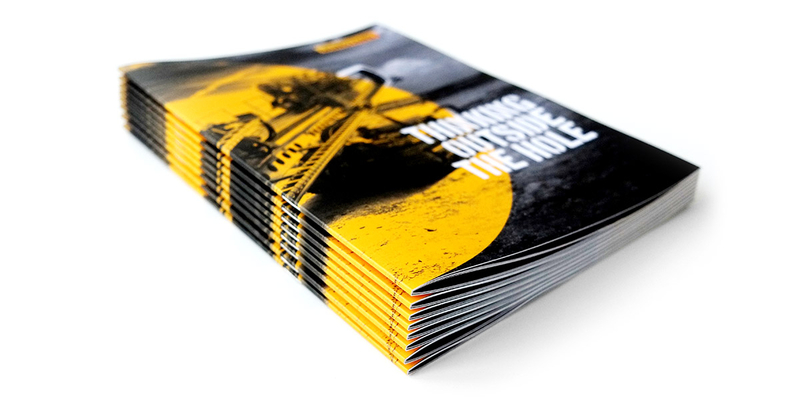 Q: How do we demonstrate innovation in our brochure design? 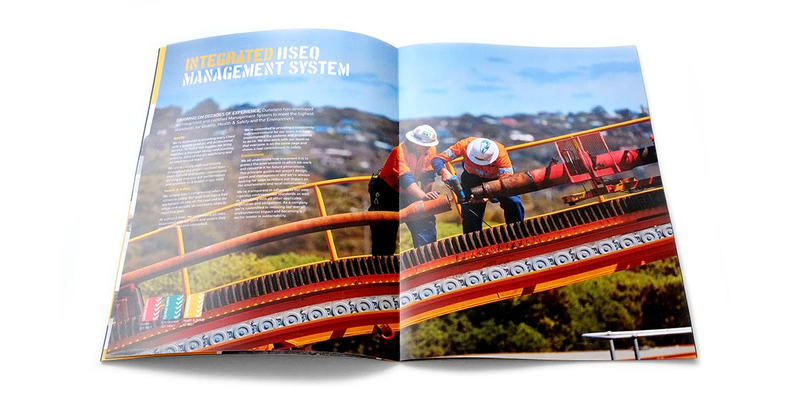 Angle’s brochure design for Dunstans helps to position the business as the Australian leader in trenchless services, in particular Horizontal Directional Drilling (HDD). 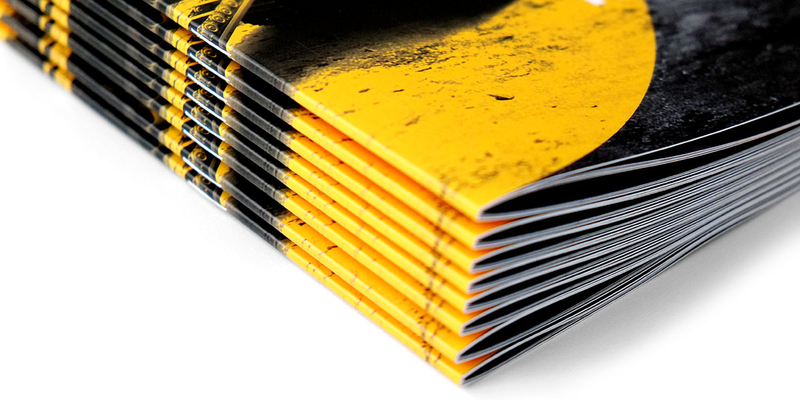 The innovative brochure design showcases Dunstans’ 100% success rate in this specialised field. 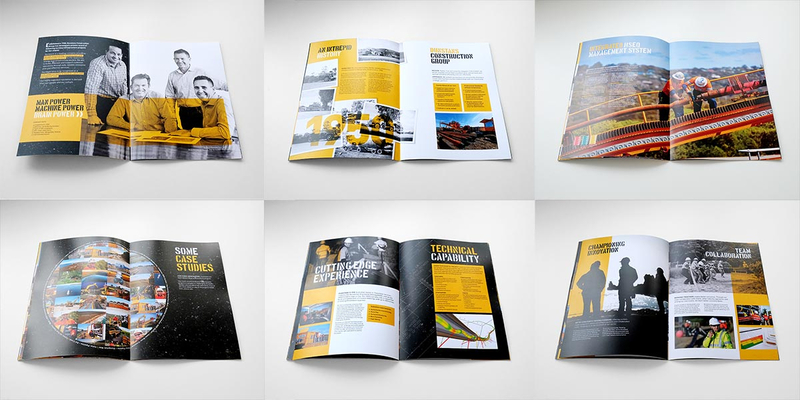 Angle was briefed to design a ‘partner’ brochure to the Dunstans Capability Brochure. 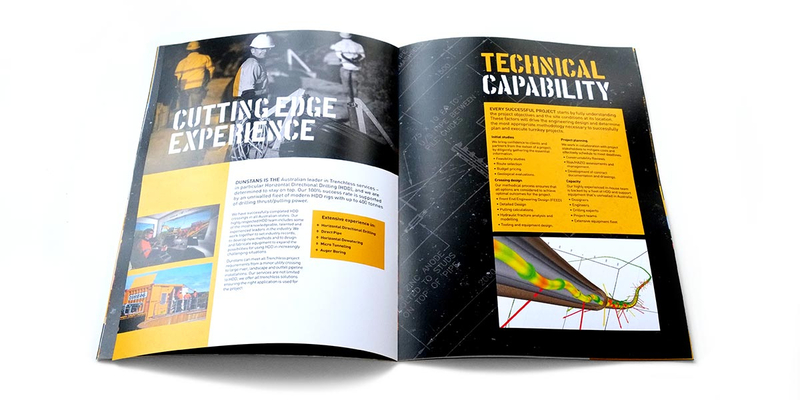 The look and feel had to be consistent with the capability brochure but the content re-designed to suit their technical expertise in trenchless and HDD services. The brochure design is inspiring, different and most importantly, perfectly on-brand for Dunstans. The creative use of the Dunstans black and yellow colour palette brings every page to life and makes you want to read more. 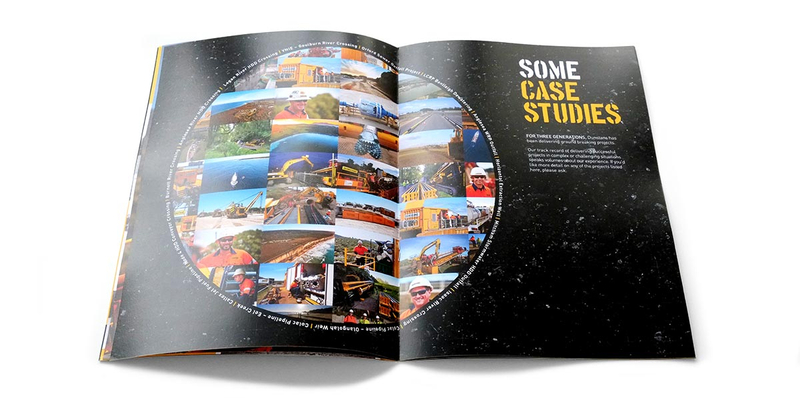 Dark, earthy background images balance well with full colour project photography to demonstrate that Dunstans really do ‘Think Outside The Hole’ to deliver these technically complex and challenging projects. Initially launched on the Downloads page of the Dunstans website as a PDF, the brochure was later printed in New Zealand and delivered to Dunstans HQ in Wangaratta, Australia.